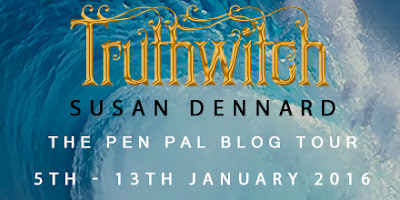 Welcome to the pen pal blog tour for Truthwitch by Susan Dennard! Today, Jess (Jess Hearts Books) and I will be discussing Truthwitch, as well as we'll have the one and only Susan Dennard chatting too! Stick around for all the juicy (but non-spoilery) gossip! Please see Jess's blog for her lovely post! Alyssa & Jessica: Hey everyone! 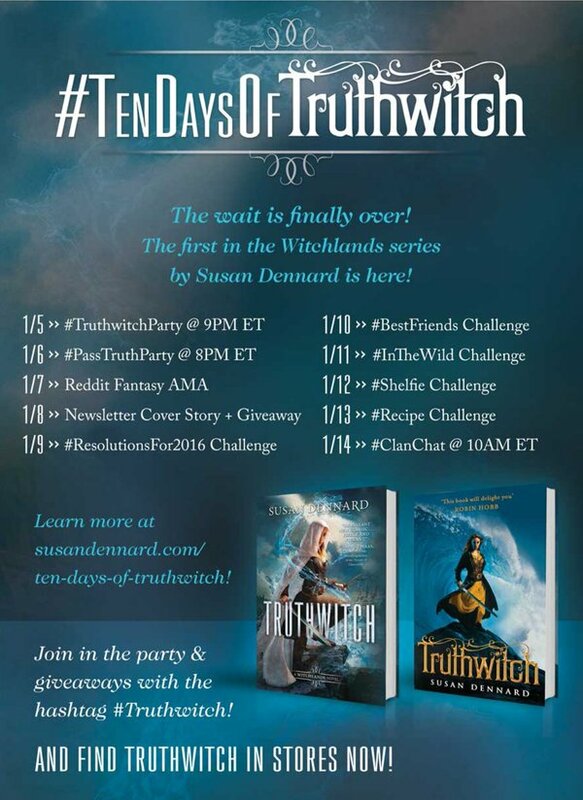 Welcome to the Truthwitch blog tour! Today’s stop is hosted by Alyssa (USA) and Jessica (UK). We’ll be discussing Truthwitch in the most non-spoilery way that we can. Join us in the comments! Alyssa: Truthwitch was quite the whirlwind! What’s one word that encompasses how you felt about the book when you finished? For me, it was probably something along the lines of “OMG”. Although that’s technically not a word… or actually it’s three words… but you get the idea. The book was just WOW! Jessica: I think for me it was “FINALLY” I don’t think I realised how much I was craving a book about an epic female friendship until I read Truthwitch. Sure, you see strong female friendships in contemporary all the time, but it wasn’t until I read Truthwitch that I realised how lacking they are in Fantasy. Usually the heroine is too busy trying to save the world to keep up with her girlfriends so it was fantastic to see two heroines go on an adventure together here. Alyssa: I didn’t think of that! I think I was more concerned about the fate of our protagonists. :D But that’s so true - YA non-contemporary lit has a bit of a scarcity in strong female friendships. I think one of the the reasons why I love fantasy the most is because of the epic story - but it’s so important to show some female solidarity in what used to be a heavily male-dominated genre. One of my favorite female friendships in non-contemporary YA is Ismae and Sybella’s, from Robin LaFevers’ His Fair Assassins series (one of my favorite series in YA!). Despite being separated for a book and a half, the pair maintain their strong connection and stand with each other with the duchess. They grew up together and fought together and learned the ways of Death together - not an easy friendship! Jessica: I love that series too! I think it’s brilliant that Truthwitch is bringing female friendships into the limelight especially for a teenage audience in YA. As a teenager the most important thing to me were my friendships and so it’s great to see that being reflected more and more in YA. Truthwitch got me thinking about other strong female friendships that I’ve loved in books. Staying in the fantasy genre I love the friendship between Celaena and Nehemia in the Throne of Glass series by Sarah J. Maas . I think that Sarah and Susan’s friendship is reflected in their own characters which is wonderful to see. Alyssa: Celaena and Nehemia’s friendship surprised me! I wasn’t expecting them to be so deeply connected, but I loved how their friendship came about. It’s such a beautiful reflection of Sarah and Susan’s relationship! As well as Safi and Iseult’s friendship. I love seeing authors who are such good friends! Another set of powerful relationships in YA fantasy is the six girls in the Waterfire Saga by Jennifer Donnelly. There are six girls who are linked together by ancient magic, and while they had a rocky start when they learned about each other, their friendship and connection became very unshakeable. Especially Serafina and Neela’s! They are like sisters. All of these strong friendships show that there can be an epic plot and all the impending doom of saving the world, but a girl can always have time for friends! And other relationships, amirite? Jessica: Speaking of other relationships, who are you shipping in Truthwitch!? As well as friendships Sooz does romantic relationships so, so well. I could practically feel the chemistry sizzling off the page for some couples! There is a ball scene early on in Truthwitch that had me blushing! My favourite ship though is a bit spoilery so I don’t want to say too much here but let’s just say it involves Iseult and had me feeling ALL OF THE FEELS come the end of the book! Jessica: I think she will! I’ve spoken to a couple of friends who have read it and they seem to think the same which I’m very excited about. Alyssa: It would be so great! I love that pair. My favorite ship has to be Merik and Safi though. While I love the girls, Merik is my favorite character - he’s got a bit of a temper, which I love. He’s also so duty-bound and driven, and he has good intentions and a fierceness about him that I really like. He’s so devoted to Nubrevna, which is honorable and respectable. But mostly, I like his temper. The first meeting between him and Safi is precious! Jessica: I’ve seen a lot of love for Merik! I think my favourite character has to be Iseult. I can see a lot of Iseult and Safi’s relationship between myself and my best friend. When we took the quiz on the Truthwitch website to find out which character we are I wasn’t the least bit surprised when she got Safi and I got Iseult. I see a lot of myself in Iseult, she’s very relatable to me so I think that if I had to choose she would be my favourite character. I see you’re in the Water clan - are you a Waterwitch then? I love all of the different types of witchery in this book and can never decide which type of power I would like to have! I took a quiz (yes, I am addicted to these quizzes okay?) that placed me as a Waterwitch but I also love the idea of being a Wordwitch! If any readers would like to find out what type of witch they’d be you can take the quiz here. Alyssa: Yes and no! I was placed as a Voidwitch when I took the quiz, which I took twice (“Void is the element of power. It is creative and inventive and dark. Your choices reflected an original mind, open to many things. Void is the possibility of everything.” - I’m okay with that!). BUT I definitely identify with the Waterwitches - as a Waterwitch clan of Sooz’s Witchlanders street team. I love the street team! It’s a lot of fun and we do tons of creative promotional stuff, rather than spammy repetitive messages. Sooz is fantastic! I think being a Waterwitch would be epic - the Waterwitch in Truthwitch is one of my favorite characters. I think being a Poisonwitch would be interesting (as it is a subset of Waterwitchery)! I’m a chemistry nerd so the thirst for that type of knowledge is there. I cannot wait to discover more types of witches in the future books! Do you think we’ll get to meet more rare types, like Truthwitches or witches from the Void like Aeduan? Jessica: I LOVE the street team. I have a few friends who are part of it and it looks so fun! Ohhh you’re right a Poisonwitch would be so interesting. I love that there is so much potential for different types of magic in Truthwitch and I definitely think that more types will get revealed throughout the series. I felt like in Truthwitch we were only just being introduced to this world and new magic system and that Sooz has so much more in store for us! Because I got to read Truthwitch early there is such a long wait for book two and it’s already killing me! Trying to keep this spoiler free, what would you like to see from the next book? Alyssa: Ahem, more from the ships! Safi and Merik (it IS called Windwitch! ), but also development of the one ship that we shan’t spoil! I’d also like to see Safi develop and wield her Truthwitch power, which I think is very probable. I also think we’ll see a lot more of Aeduan and his internal struggle with certain… things. And you? Jessica: Most of the things that I want to see more of are spoilery! Let’s just say that I’d love to learn more about Safi and Iseult’s friendship and what that means for this world. I’d also love to see more of Aeduan and the ship that we can not spoil! 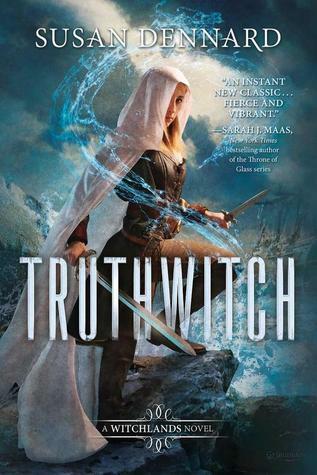 Alyssa & Jessica: Thanks for reading our discussion *cough* fangirling *cough* of Truthwitch. 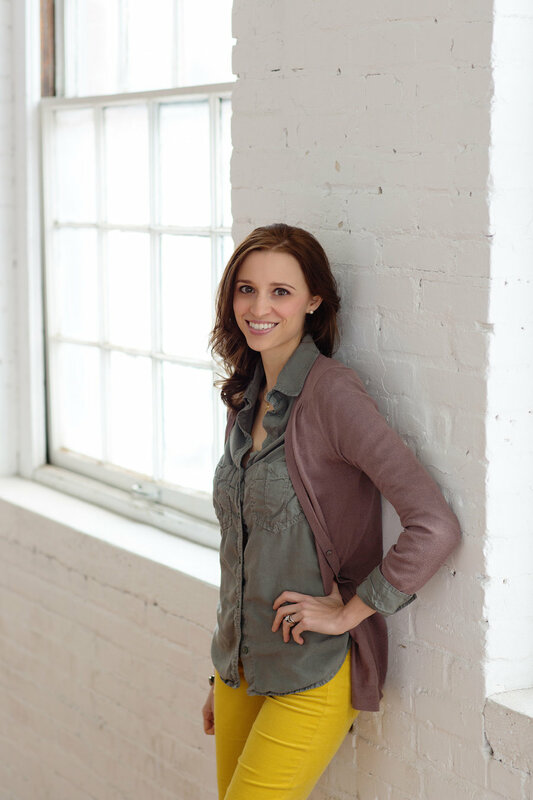 We’d now like to welcome Truthwitch author Susan Dennard to join the discussion and answer our question for her. Our question to Susan -- If you and your friends lived in the Witchlands what would you get up to and what types of witches would you all be? Hmmmm, the pirate option as way more fun, wasn’t it? Thank you for joining us, Susan! 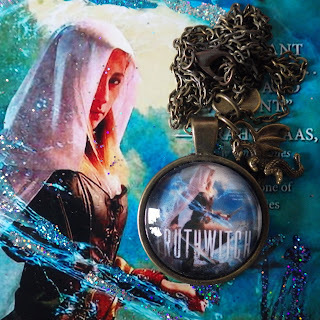 The Water Clan of Susan's street team (Waterwitch Babes) are hosting a giveaway! As a member of the Babes, I'd like to share the giveaway. You'll win a pendant (picture below), and a button. Open internationally! Started this one last night- just got to where Merik and Safi. Laughed so hard! Thank you, Olivia! Waterwitches for life! 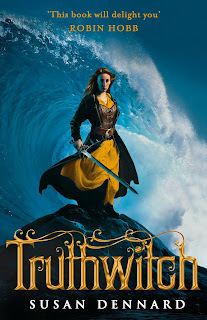 I hope you love Truthwitch (you will) - I can wait to squee with you when you read/finish. Huge hugs! I've loved getting to know you better! And right?! Our clan had some really great party ideas though! Nice discussion Alyssa. I was really happy to be a part of the waterwitch babes with you all and I am so impatient to read Truthwitch. Amazing post Alyssa now you got me super excited to read this book it looks and sounds utterly fantastic! I did the test and I got air which I believe is pretty accurate for me lol. Thanks for the amazing post my friend! You can't miss it, Katiria! And the air clan is awesome! In the Witchlanders street team, they were the closest to our competition. ;D Thank you, Katiria! I SHIP THEM SO MUCH! Merik is my type of man. ;D And the secret ship! Gah! It's kind of barely there so far, but I'm sure it will be fleshed out in the next books. I hope you LOVE Truthwitch, Kaina! Thank you! I love your fangirling/discussion!! And you already know I really ship the other-ship-that-is-not-exactly-a-ship-yet!! Thank you! And yaaaaasssss! We NEED that ship to be a real ship! Oooo! I hope you receive it very soon! And read it ASAP, Carina!